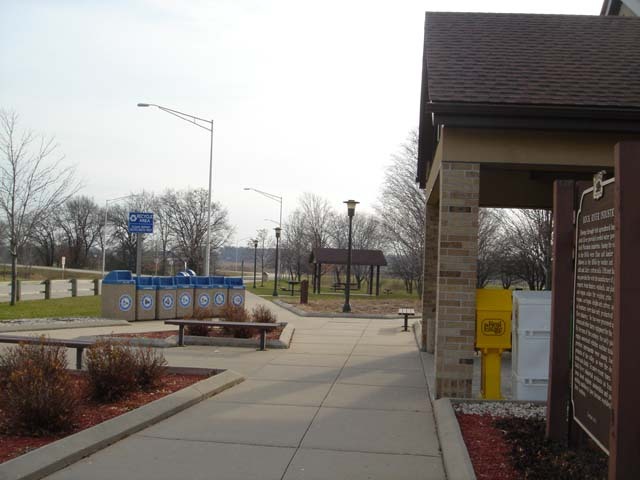 Located 4.4 south of rock river bridge southbound interstate 90 rest area Coordinates Lat N 42:46':132" Lon W 89:00':384"
Flowing through rich agricultural land, the Rock River provided needed Water power for local Wisconsin industries. Among the earliest in the 1840s were flour, and lumber mills, followed in the 1850s by -woolen and paper mills and, later, cotton mills. Efficient farming was provided for with the manufacture of plows, reapers, twine binders, windmills, and platform and wagon scales for weighing grain. 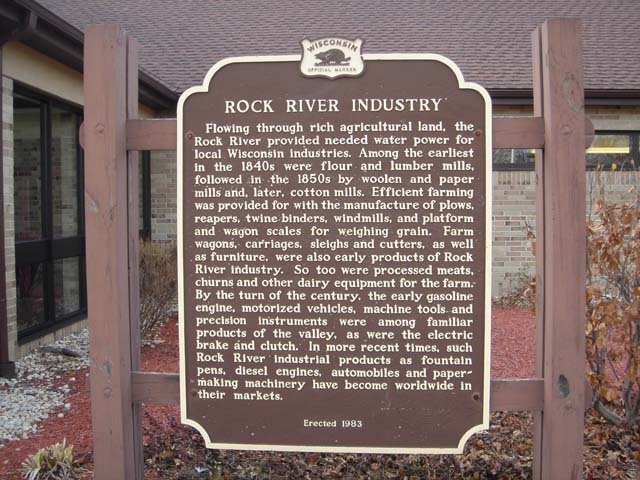 Farm wagons, carriages, sleighs and cutters, as well as furniture, were also early products of Rock River industry. So too were processed meats, churns and other dairy equipment for the farm. By the turn of the century, the early gasoline engine, motorized vehicles, machine tools-and precision instruments were among familiar products of the valley, as were the electric brake and clutch.- In more recent times, such Rock River industrial products as fountain pens, diesel engines, automobiles and paper- Making machinery have become worldwide in their markets.